This is a common condition and mostly affects younger otherwise healthy people. 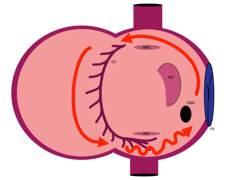 It is most often due to an extra electrical connection between the top and the bottom chambers of the heart. 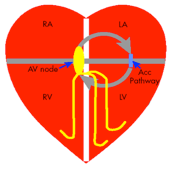 These extra connections may be distinct from the normal wiring of the heart (Accessory pathway) or part of the normal conduction system itself (AVNRT). The two connections may ‘short circuit’ from time to time causing the heart to beat fast (between 150 and 250 times a minute). The patient experiences sudden onset of palpitations which may last for minutes to hours. Because of the episodic nature of SVT, some of these patients are initially misdiagnosed as suffering from anxiety or panic attacks for many years. The condition can be controlled with drugs, but most patients prefer the one-off curative catheter ablation to life-long tablets. Results of catheter ablation are excellent (success rates greater than 90%, complication rate <1%) and the patients are home the same day.  Atrial flutter is an extremely common condition, especially in older patients. 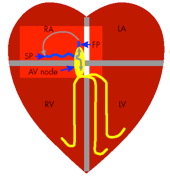 In this, the electrical circuit revolves round and round in the right atrium at the rate of 250-300 beats per minute. The lower chambers, the ventricles follow at rate of 100-150 beats per minute. Patients experience breathlessness, palpitations and fatigue. Atrial flutter tends to be persistent and is often impossible to treat satisfactorily with drugs. Flutter can coexist with AF. The condition can easily be cured with catheter ablation (success rates >90%) in which the cardiologist uses RF energy to interrupt the flutter circuit.